Despite its negative reputation, root canal therapy is actually the solution to tooth pain vs. the cause of it. If you are suffering from pain brought on by an infected or damaged tooth, Dr. Paul Brown and Dr. Christopher Baran provide skilled, gentle root canal therapy at their Seaford, Wilmington office. Contact us today to learn how we can eliminate your tooth pain, and improve the quality of your life. Every tooth is made up of several layers: the outer enamel, a hard layer of dentin, and the soft tissue core referred to as the tooth pulp. Composed of blood vessels, nerves, and connective tissue, the pulp delivers nutrients to the tooth as it develops. When inflammation or infection occur, the pulp can cause considerable pain. Untreated teeth can lead to severe discomfort and may develop pockets of pus, known as abscesses, endangering the health of nearby teeth and tissue. Removing this source of discomfort improves the tooth’s ability to withstand normal biting force, which makes eating and speaking easier, and protects the surrounding teeth. 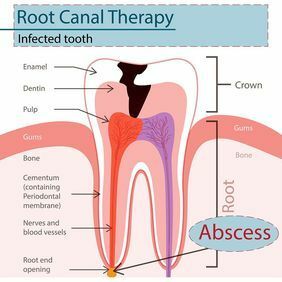 Root canal therapy decontaminates an infected tooth by removing the inflamed pulp. This helps to eliminate pain and also protects the tooth against further damage. Removing this source of discomfort improves the tooth’s ability to withstand normal biting force, which makes eating and speaking easier, and protects the surrounding teeth. It is important to maintain regular check-ups to make sure your teeth are cleaned and your oral health monitored by a skilled professional. Some infections can be asymptomatic and can only be discovered by a dentist during an exam. Advances in surgical techniques and anesthetic methods have made the modern root canal treatment much easier. 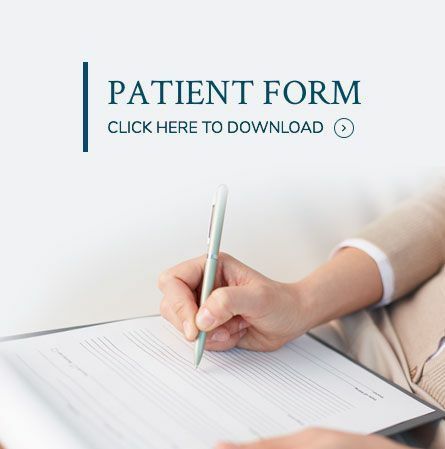 In terms of comfort, it is very similar to a routine dental filling, although the condition of the tooth, and your personal comfort level can affect the experience. We will first administer a local anesthetic to minimize any discomfort, then place a small protective sheet, called a dental dam, over the tooth. This protective sheet isolates the tooth, keeping it clean and free of saliva during your procedure. We will then make a small hole on the surface of the affected tooth. This allows us to access the inside of the tooth and remove the infected pulp. Once the infected pulp has been extracted, the chamber is disinfected and filled with a rubber-like, synthetic dental composite called gutta-percha. Secured with an adhesive, this material blocks the chamber from future infection. The hole is then closed and sealed. If necessary, your dentist may place a dental crown or other restoration, to further protect against damage. If a restoration is not placed at this time, you should avoid biting or chewing with force on the treated tooth, so that you do not crack or damage the repaired tooth. At Brown and Baran Family Dentistry, we want to make sure that each and every patient is comfortable during their dental procedure. If you are experiencing tooth pain, contact us today to find out if root canal therapy can help alleviate your discomfort.